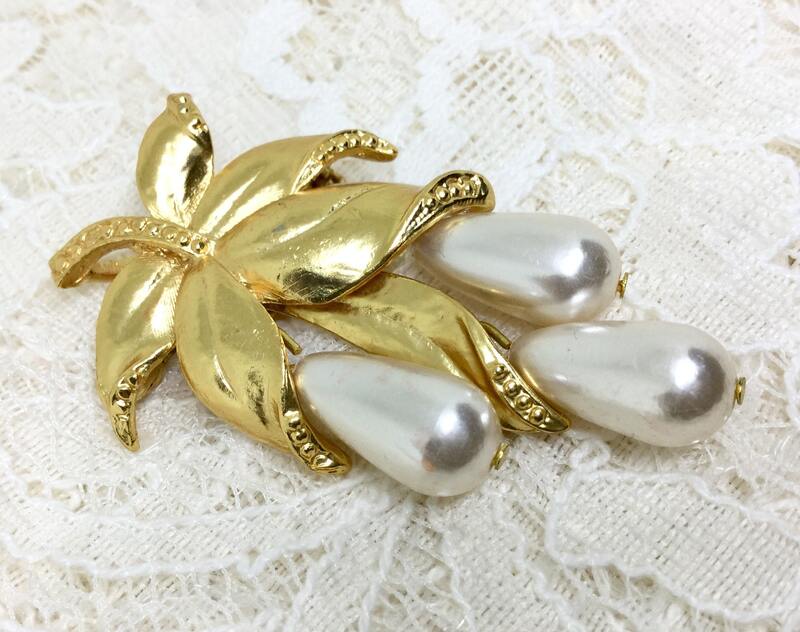 This is a vintage goldtone 80s faux teardrop pearl four dangle brooch. 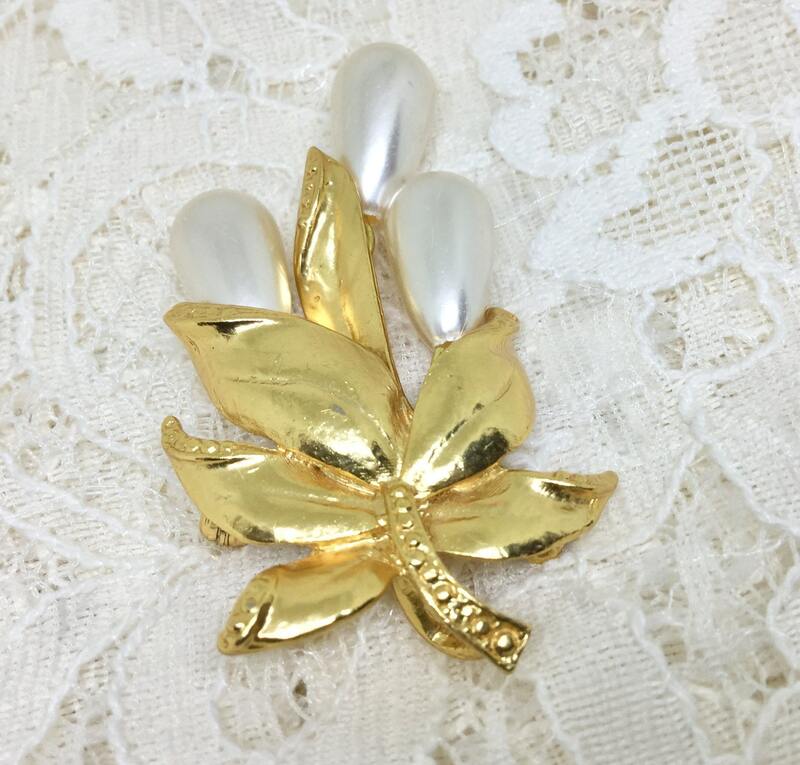 There is a glossy goldtone textured stem with four fixed leaves. 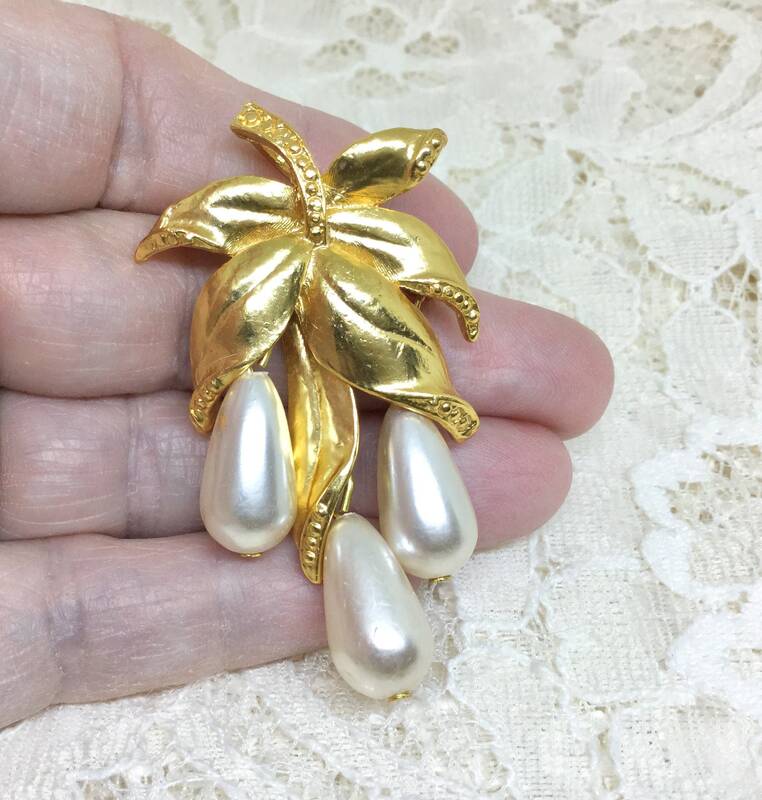 The middle dangle coming down from the leaves is another glossy goldtone leaf with a large faux teardrop pearl dangling off of it. 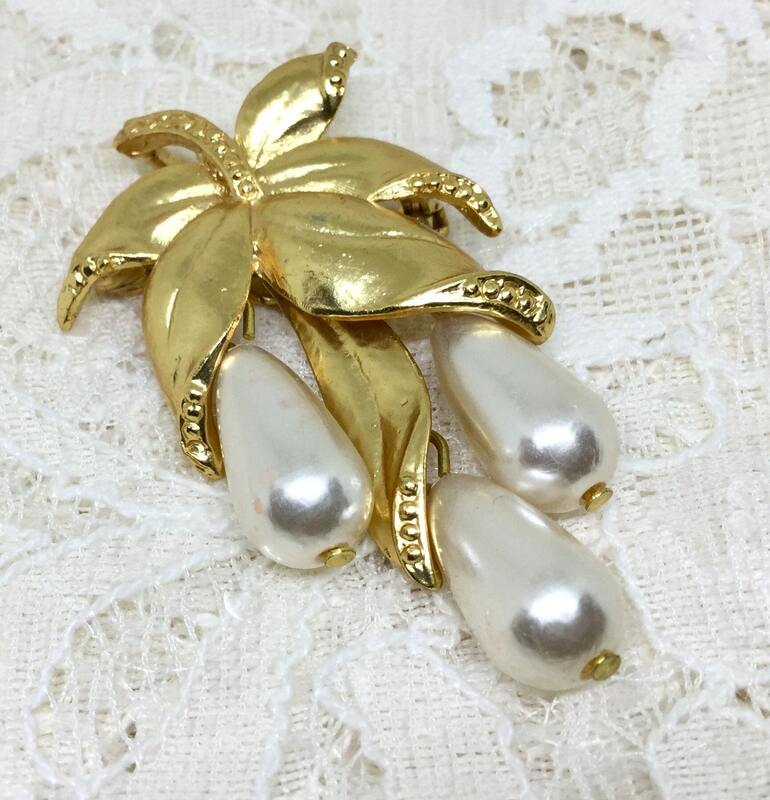 On either side is a large faux teardrop pearl coming down from the fixed leaves. 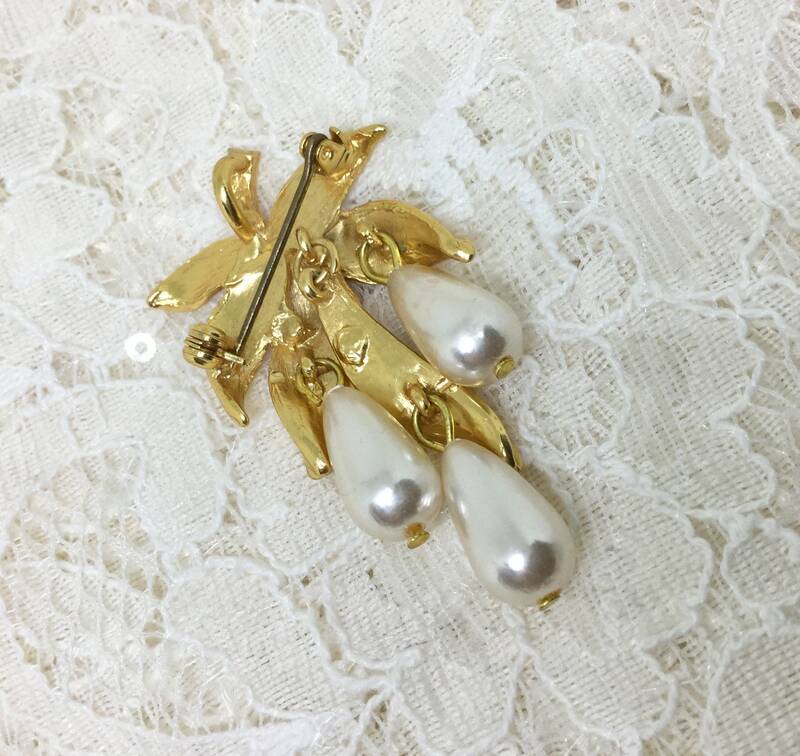 The brooch measures 2” x 1 1/8” and the pin closure is straight and works smoothly and securely. 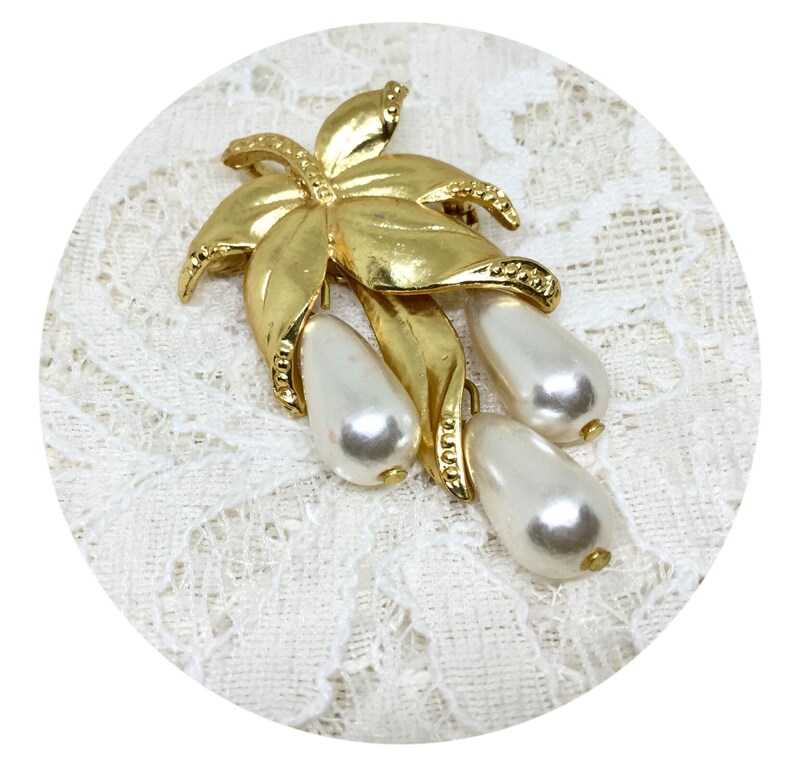 This is a classic dangle brooch with great movement for work or play! 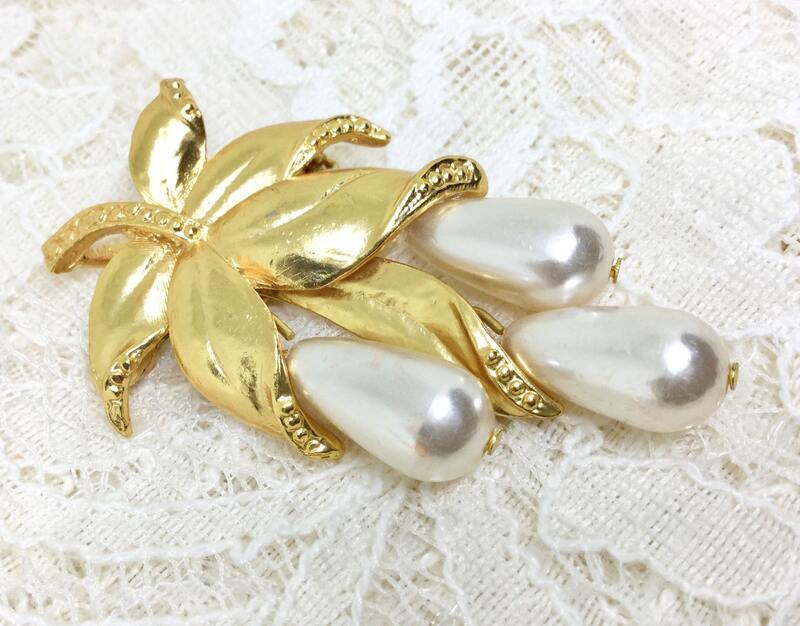 Or how about for Mother’s Day!